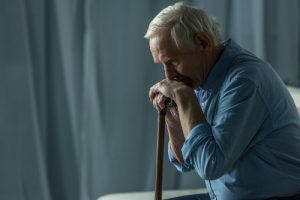 Jennifer F. Scharre, probate attorney, discusses the complexities of a conservatorship and how a power of attorney and estate plan documents can avoid the need to create a conservatorship. Jennifer F. Scharre is an attorney at the San Jose law firm, Temmerman, Ciley & Kohlmann, LLP. She provides representation in an estate plan, conservatorship matters, power of attorneys, guardianship matters, and trust and estate administration and litigation. What could my mom or my dad, or my aunt or my uncle have been done to avoid this happening? The answer is very simple. They could have completed some estate planning. A durable power of attorney and advanced healthcare directive are absolutely key to staying out of a conservatorship. When most people look at these documents which range somewhere between two and twenty pages, it is difficult for them to realize how simple it would have been to complete these documents ahead of time and how difficult this process now becomes when you don’t have these documents in place. Whenever we actually obtain a conservatorship, my clients are feeling justifiably a bit victorious that they have gotten through this difficult process. But often times they don’t realize the ongoing requirements that they have to the court. They have to be bonded for whatever the estate’s assets are. They have to file a care plan with the court and notify all of the family members about exactly what they are doing with respect to medical decisions. They have to file accountings for all the payments they’re making on the Conservatee’s behalf and ultimately they have to ask the court for permission in order to sell any property. Now, this can be a very onerous requirement and often times harder than the actual petition for probate itself. But, remember that when we are a conservator you are a fiduciary. You are not acting for yourself, you are acting for another individual and the court is the person exercising that oversight. There are many types of power of attorney forms and other free legal forms available online. The challenge for most of us is we do not know if we are using the right form or how to properly execute the form. Estate planning for dummies may not get us the results we need. We recommend hiring an attorney. As mentioned above, having the proper estate plan documents in place can avoid the need to create a conservatorship. Just about everything you need to know is detailed on our conservatorship page. On that page, you will learn how to file for conservatorship, and the petition for a conservatorship to be the conservator of a person and the estate. The Internet is a wonderful resource for many things. It is one thing to know what we need and another to know how to create the documents we need. No matter what type of estate plan document is needed, it could be a costly mistake to download conservatorship forms or other estate planning forms from the Internet and start filling in the blanks. By the time we discover the do it yourself wills and trusts forms are not executed correctly it may be too late and conservatorship may become necessary. A Trust and power of attorney can avoid the need to create a conservatorship. Jennifer details information in her video on our conservatorship vs trust page. The California Conservatorship Handbook is available for download from the California Courts Website or you may simply click the link and be directed to the handbook.